How does a private viewing mode sound? We at TechRadar know there's nothing wrong with going on a Netflix binge and marathon-watching Power Rangers or that Katy Perry movie ten times in a row. But you may not want those things on your permanent record, so to speak, which is why Netflix is testing a new private viewing mode. The mode will prevent content from appearing in your viewing activity and will ensure it isn't factored into your recommendations, no matter how many times you watch The Baby Sitters Club movie. The official name of this helpful addition is "privacy mode," according to an email Netflix Director of Corporate Communications and Technology Cliff Edwards sent to GigaOM. Letting Netflix users who share the same account have individual profiles was a big step toward improving the service's recommendations, and it sounds like this will be another. After all, you don't necessarily want the streaming service to show you more programs like Pokemon the Movie: Kyurem vs. The Sword of Justice after that one-off experience. 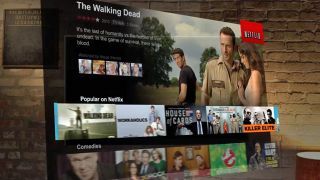 Netflix's privacy mode is currently being tested across all markets, and may be in testing for several months. Unfortunately the feature is not guaranteed to ever see a full release, depending how it performs in these tests; "We may not ever offer it generally," Edwards said. Let's hope they do, so we can finally watch Jumanji again in peace. Netflix vs Amazon Prime Instant Video: which is best for you?